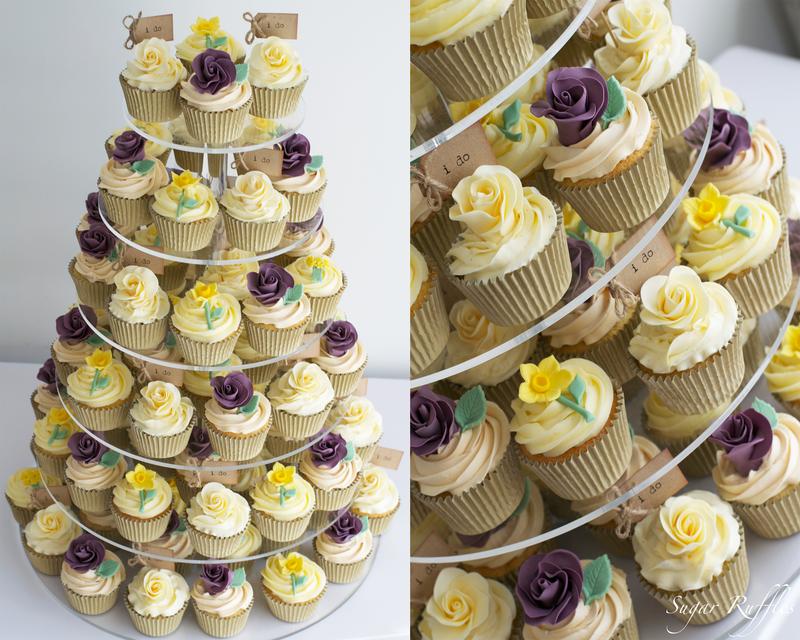 A spring wedding cupcake tower with purple roses, cream roses and daffodils. 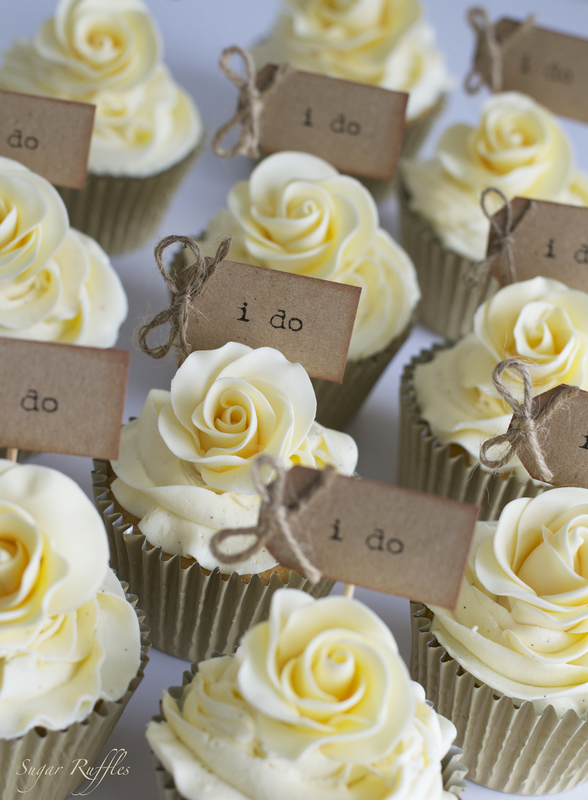 What a lovely idea for a wedding - I like the colour of the cupcake cases too - they match the "I do" cards! 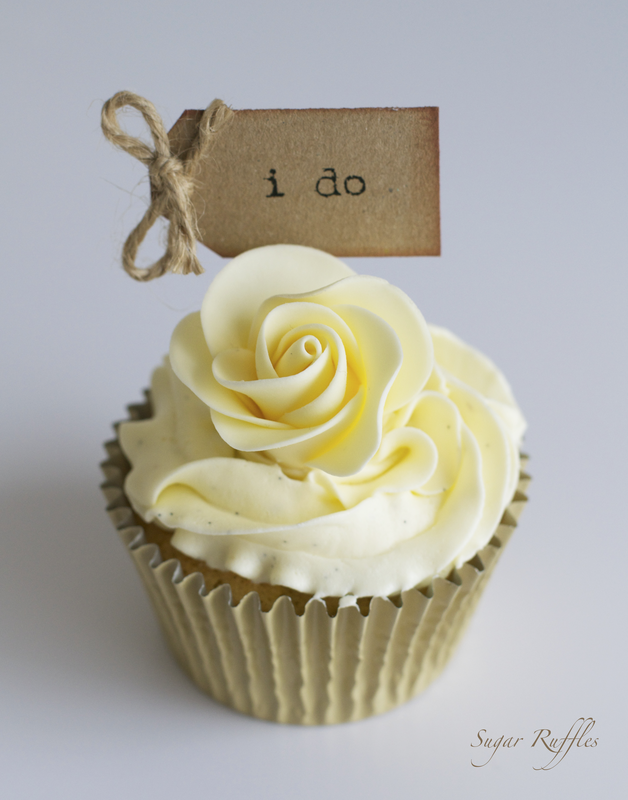 how'd you do the roses up top what tip did you use? 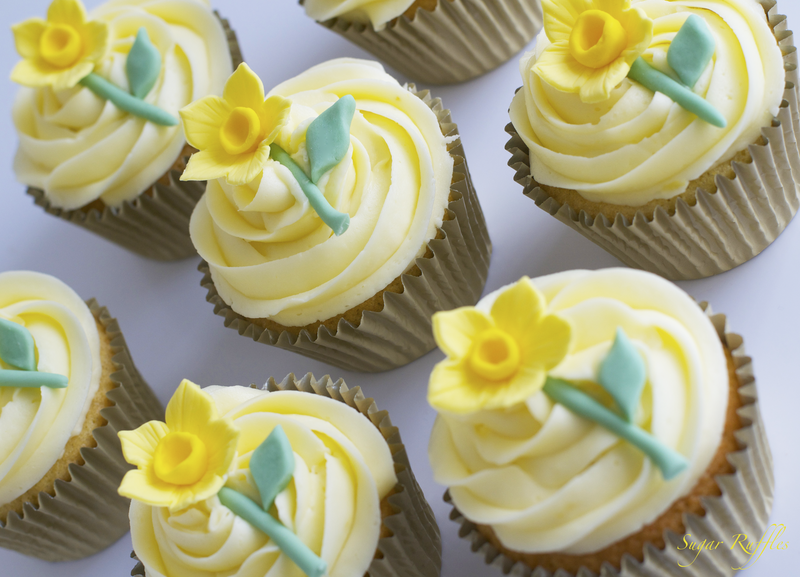 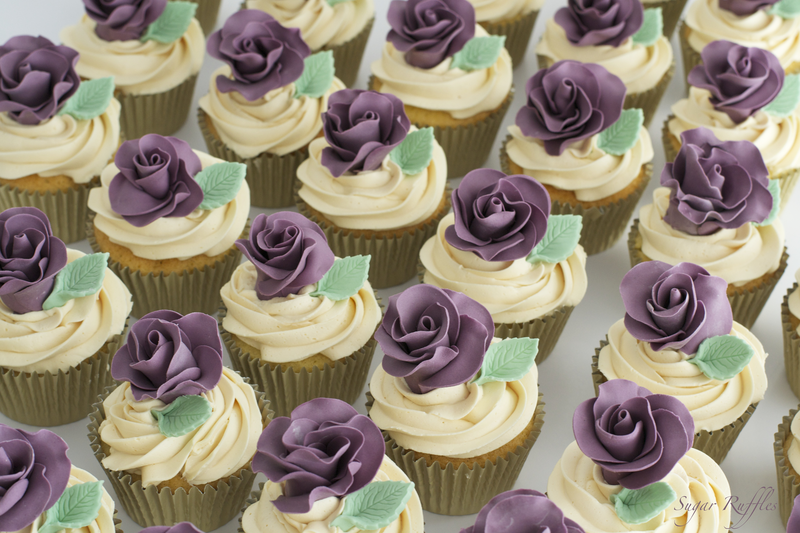 Hi Terra, the roses on top of the cupcakes are made of fondant.